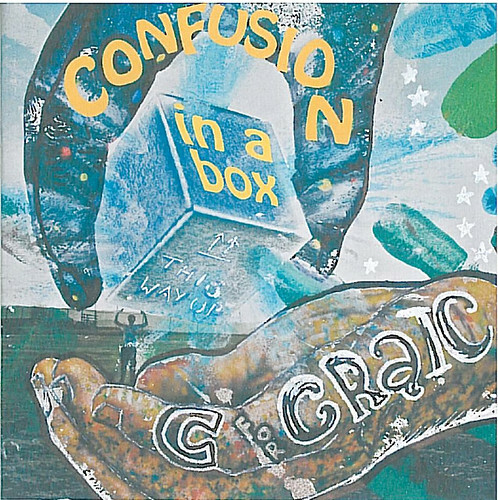 ‘Confusion In A Box’, debut album of Gairloch High School folk group, C for Craic, is out on 20th December. Available from Gairloch High School office and other local outlets at £10. A collection of contemporary Scottish Music, new arrangements and featuring ‘Big On The Pig’ an original tune recorded here for the first time. The perfect Christmas or New Year gift. The music has already been featured on Two Lochs Radio and the CD will sound good at any time of the year! All funds raised go to pay for the production of the CD and school funds. 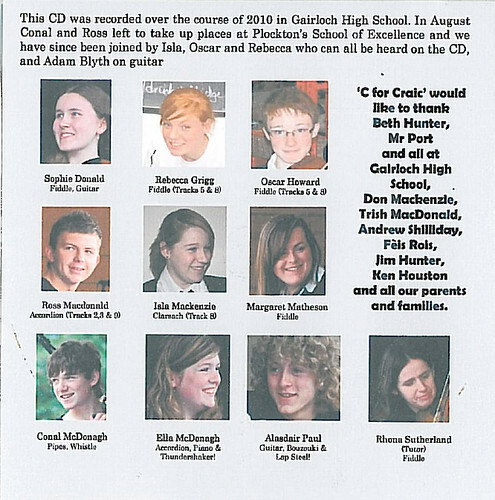 GHS 2011 Calendar – The Gairloch High School Calendar for 2011 is on sale from the school office at £5.00 a copy. A wide selection of artwork produced by pupils over the past year is on display month by month and all proceeds from sales go to school funds. Our thanks go again to local businesses whose sponsorship helped us with printing costs. This is a simple inexpensive and colourful way of supporting your local secondary school while encouraging the work of the pupils. Well done to Ms. P Gulliver for putting this together with the support of the Parent Council and Alex Gray at Wordworks. Romeo and Juliet – On a cold Tuesday afternoon in late November everyone in the school, except some pupils previously committed to swimming in Poolewe, assembled in the Community Hall. We were transported to Verona and caught up in the story of Romeo and Juliet. The production lasted an hour and was an exciting rendition of the famous play. All the pupils (except S4 who were preparing for prelims) had previously covered the play in class so were familiar with the story prior to being immersed in a rollercoaster of language. With the small repertoire of actors playing several roles it took a little time to get into the swing of things but by the end everyone was a little sad when Juliet thrust the knife into her bosom! The play was directed by Marcus Roche, a new director from the Royal Scottish Academy of Music and Drama and had a tremendous cast including Liam Brennan, widely recognized as Scotland’s finest Shakespearian actor. The producer, John Cairns was instrumental in bringing the show to Gairloch. North Highland Connections and Open Book also staged public performances in Ullapool, Wick and Bettyhill. Highland Music Festival – On the 20th November at the MacDonald Centre in Aviemore Sophie Donald, S6 took part in a musical event. Here is her report: A few weeks ago I enjoyed another fantastic rehearsal and performance weekend in Aviemore as a member of the Highland Regional Youth Orchestra. A particular highlight was that all the eight groups were together – one of which making its début – and the resort was buzzing continually with good music. I’m only gutted that this is my last year, as I have gained so much from the music groups throughout my time at school. 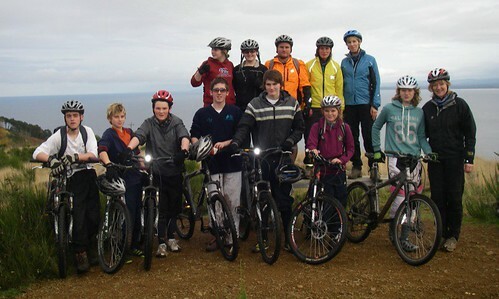 Bike Club – A group of fourteen pupils and staff went to the mountain bike trails at Learnie, near Fortrose on Saturday 13th November. It was a lot of fun and you can see the photographs on the website. The school bikes are used a lot: as well as trips like this, regular after-school bike maintenance sessions take place on Tuesdays, the Outdoor Education and Skills for Work classes all take part in a mountain biking programme and the S1 pupils are taught safe cycling and bike control as part of their SMART course. Football Success – Nick Stein (S4) was on Work Experience recently with Inverness Caley Thistle Football Club. As a result of his performance over the week, he was asked to attend training with the U17 team. Nick has shown great commitment to maintain this travelling to Inverness three times a week for training and an extra day for a game. Well done Nick! U15 basketball team – The boys played their first game of the National Schools’ Cup competition against Alness Academy on Saturday 4th December. They lost 68-20 against taller, more experienced opponents. They also played against some of the Highland U14 team and lost this match 34-18. The boys are on a steep learning curve but are enjoying their games and getting better all the time. They are looking forward to turning things round in their match away against Fortrose, next week. Working while at school –Many pupils work in local shops and hotels and while this teaches them useful additional skills there are strict rules for employers about the number of hours the pupils work and their conditions. These rules are set to make sure that pupils are in a fit state to learn, make the best of school time and achieve their ambitions. School Dance – On Friday 17th December the school holds its annual Christmas Dance. This is an event that nearly the entire population of the school attends. It is a great evening and pupils have been learning the dances during PE lessons for the last few weeks. While it is a great social event and generally a grand affair, Mr. Port explained at assembly recently that the aim of the evening is the social get together. Pupils should feel they could attend without hiring expensive kilts or buying fancy dresses. The importance of the dance is that we all get together to enjoy each other’s company and have a grand evening of entertainment and fun. Read a copy of the letter sent home to parents on December 10th 2010.